At 40-years old Hello Kitty maybe a middle aged kitty, but she refuses to get tied to a number. 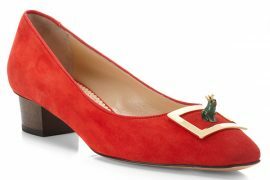 In fact her life begins at forty with a big bash thrown in her honor by two of Japan’s well-known brands. The adorable white cat, we always see dressed in baby pink and a big bow celebrates her birthday with a jewelry collection of almost 20 pieces. 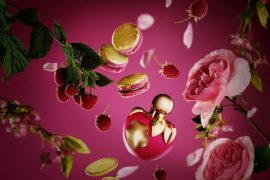 The collection is a collaboration between Hello Kitty parent company and the luxury jeweler Mikimoto. 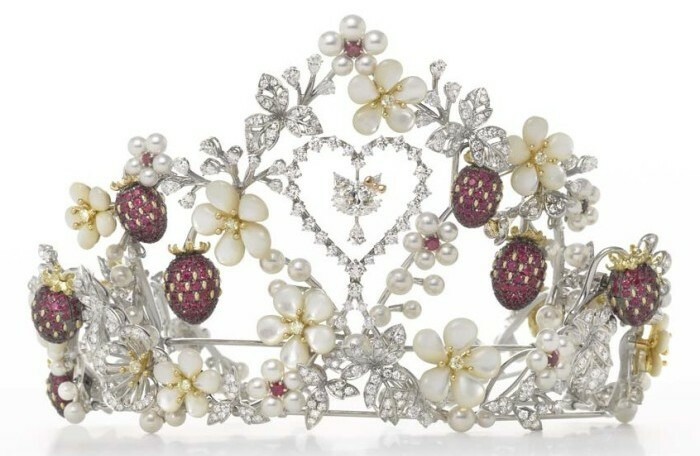 The centerpiece of the collection is the Mikimoto x Hello Kitty tiara, which is a one-off item and not for sale will be used to showcase Mikimoto’s craftsmanship. 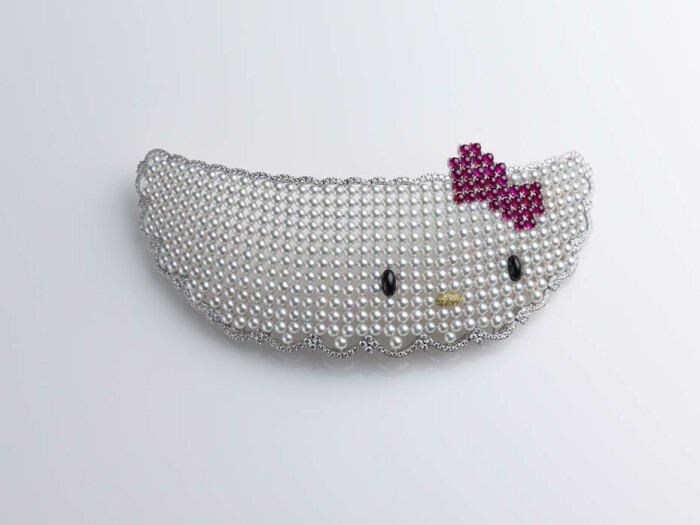 Its elaborate design features a Hello Kitty shaped entirely from diamonds including her face from oval-cut diamond, claws for the whiskers and ears from a pair of trilliant-cut diamonds. Two strawberry-shaped lockets reveal portraits of Kitty and her darling partner, Daniel. In addition to Kitty her twin sister Mimmy also get to celebrate the 40th birthday. 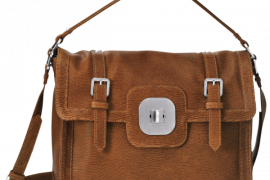 Mimmy’s yellow ribbon is featured in necklaces and earrings. A collection of pendants, earrings and necklaces with ribbons in blue, the store’s signature colour, has also been designed for Colette in Paris. With a fan base that runs into millions, these exquisite pieces are destined to become collector’s items for Hello Kitty lovers all over the world. 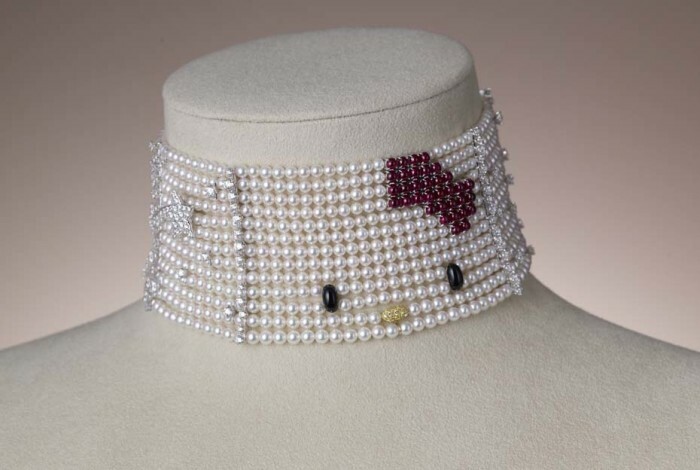 Mikimoto x Hello Kitty choker necklace featuring Akoya pearls, rubies for Hello Kitty’s bow, onyx for her eyes, and diamonds for the stars. 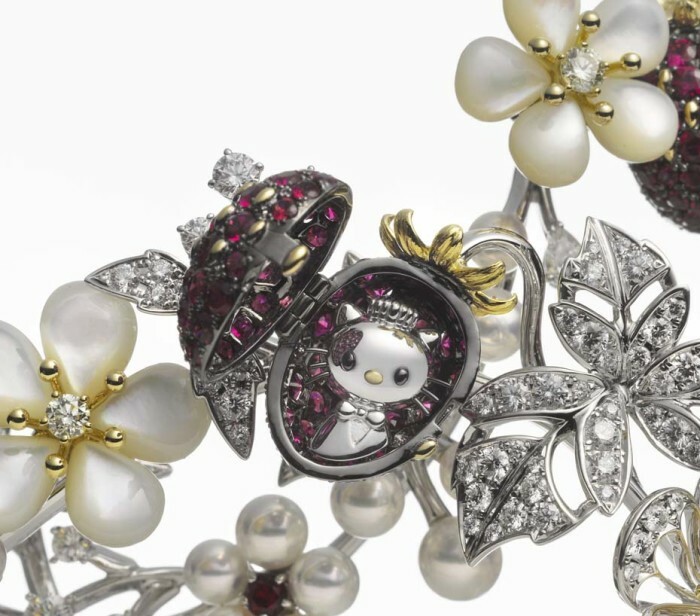 Mikimoto x Hello Kitty hair jewelry featuring Akoya pearls, rubies, diamonds and onyx. 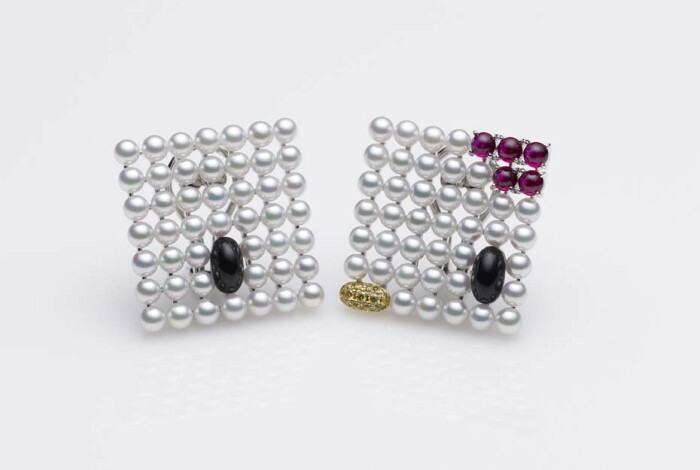 Mikimoto x Hello Kitty earrings with Akoya pearls, rubies, diamonds and onyx. 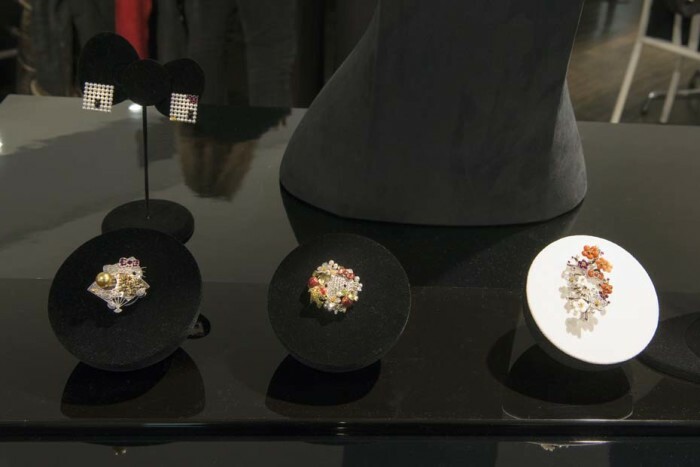 Brooches from the Mikimoto x Hello Kitty collection on display at Colette in Paris for the launch. 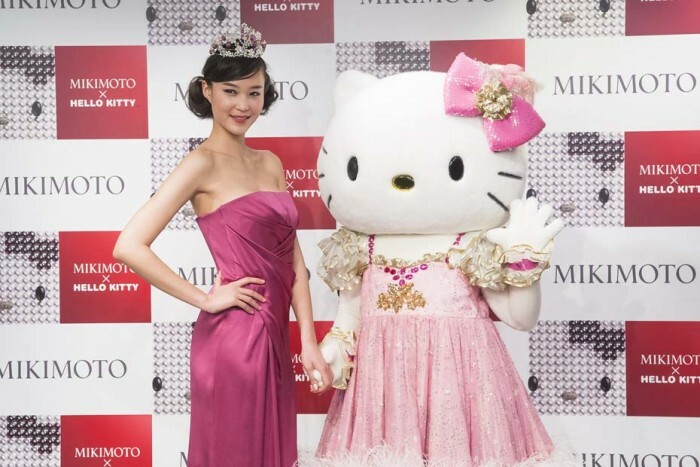 Hello Kitty strikes a pose with a model wearing the Hello Kitty tiara at the Mikimoto x Hello Kitty launch event at Mikimoto’s flagship boutique in Tokyo. 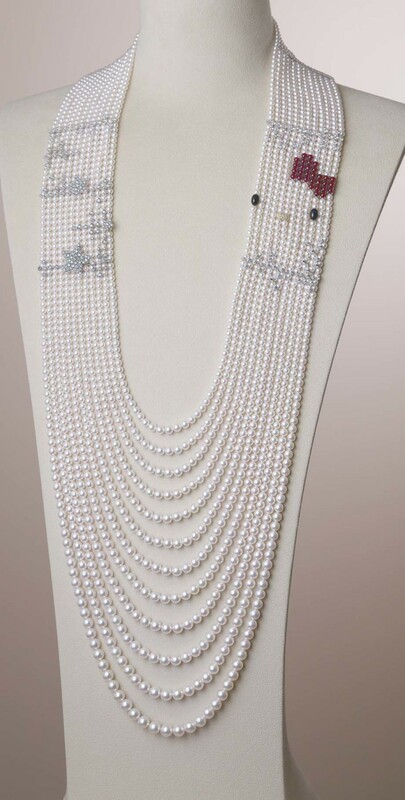 The model changed into the Mikimoto x Hello Kitty pearl necklace and hair jewelry. Mikimoto x Hello Kitty Akoya pearl necklace, with rubies tracing Hello Kitty’s ribbon, onyx for her eyes and diamonds for stars. 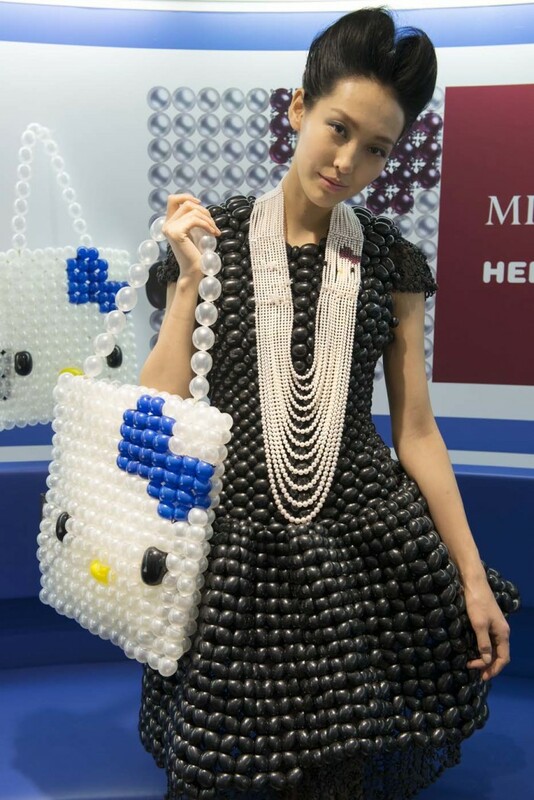 Mikimoto and Hello Kitty take centre stage at the launch of the Mikimoto x Hello Kitty collection at Colette in Paris.